Thank you so much for the website and videos! I have a ameteur musical background in woodwind instruments from my school years. 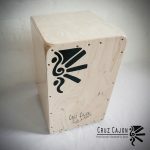 I recently became aware of the Cajon and fell in love! I have never played any type of percussion instrument but with the help of your excellent tutorials I am picking it up and am already jamming with a local band after only a week.. I know I have alot still to learn- It is great to be able to just jump right in and actually play. I am having a blast!This is truly a remarkable instrument and you are an excellent teacher. Thank you for sharing your passion, expertise and talent with the world! Wow nice msg thanks very much, made me smile! Appreciate your thanks and so happy to hear you are finding my videos and lessons useful! I just found your videos on Youtube (and then your site here) and may I say you are an awesome cajon player and percussionist! I am very impressed and inspired by your playing. You clearly have rhythm in your soul! I played percussion/drums a lot through my school days (including 3 years in drum corps) and it was my passion. Then as an adult I haven’t played for years. About a year ago I am getting back into playing percussion and drums and really loving being back in touch with my musical side. I bought my first cajon a few months ago and love it. What a great, versatile instrument! 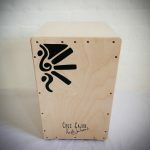 I am playing in an acoustic folk/rock style band and I find that it’s nice to mic the cajon to pick up more nuance and greater range of sound from the instrument. 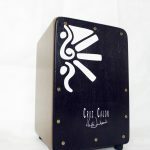 I am curious, how do you mic your cajon? What mic do you use? Do you use two mics, from behind and in front, or just a single mic in front? Would be great if you wrote a post about this. I also want to agree with some comments on your videos that you are an excellent teacher and have a gift for teaching. I wish you all the best in this new venture. Thank you!